Sublime Spaces is an Interior Design studio specializing in residential design. Our aim is to transform interiors into functional, relaxing, aesthetically pleasing and fully personalised spaces. From small changes in furnishings to big scale residential renovations, our goal is to make decorating/designing dreams reality. Berkeley Interiors is Brisbane's bespoke interior design studio. With a family of four children and having lived overseas in Singapore and Shanghai, I am able to draw on both my professional and personal experience to successfully transform your home. My approach is personal and I get to know my clients, how they live and what their individual tastes are. My love for fabrics, furniture, colour, art and space planning is intertwined with my wealth of experience to help you create a home that will not only be beautiful and functional for your family but also reflect who you are and what home means to you. By working closely with my clients, I can get a clear strategy for each stage of the project which I communicate to them openly. This makes working with my clients and trades seamlessly to complete the project in a timely manner. Ensuring you are 100% happy with the end result is a goal I am determined to achieve. Connors & Co. is a Brisbane based design studio specialising in residential interiors. We deliver a wide range of design and decoration services in Brisbane and Sydney. Our design practice focuses on sustainable materials and local suppliers. We are passionate and committed to bespoke design, creating spaces collaboratively with our clients to meet their personal tastes, needs and lifestyles. We specialise in residential interiors and our passion is for period homes, namely Terraces, Bungalows, Queenslanders and Cottages. Always sympathetic to the building and it's period, we thoughtfully combine contemporary finishes with original features. We bring imagination and original ideas to each project, designing and renovating interiors to create homes that are relaxed and liveable. We strive for timeless beauty that withstands passing trends. We work with people who appreciate quality and care about how things are made. Providing a broad range of services, we can manage your project from conception to completion, our services are also adaptable to projects of all scopes and scales. Services include: / Decorating Services: Colour consulting, sourcing and specifying colours, finishes and furniture for interiors. Ask about our Designer for a Day service / Design Concepts: Interior schemes for bespoke kitchens, bathrooms, bedrooms and living areas. Room by room or the whole house / Source, Specify and Supply: Hard finishes, soft finishes and FF&E including fabrics, stone, tiles and tapware. Schedules and procurement services available / Space Planning and Design: Floor plan reviews and drawings including plans, elevations, perspectives and renderings / Design and Production: Designing and coordinating the make of custom soft furnishings including cushions, lamps and furniture / Custom Window Treatments: Specifying and supplying boutique fabrics and production of curtains, blinds and shutters / Custom Joinery: Designing in collaboration with joiner kitchens, bathrooms, wardrobes, shelving and built-in storage / Renovations, raise and build: Design Packages, working and collaborating with architects, developers and builders to deliver your project. 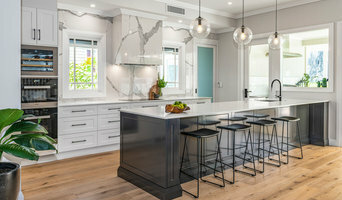 Brisbane based Interior designer and decorators Experts in timeless, classic style with a reputuation for exceptional service and a great team of the most qualified and professional designers, tradesmen and suppliers. They make the decision-making easier, whether you're building, renovating or decorating. Brisbane showroom open Wednesday to Saturday 9.30am - 3.00pm . Award Winning Interior Decorating and Colour Consulting services. Jenny Ford Design is focused on customer service and excellence in design, regardless of style and budget. Services include Interior Decoration and Colour Consultancy for the interior and/or exterior of residential and commercial projects. Designtank is a boutique interior design studio based in Brisbane. We specialise in residential renovation and new construction projects. From older homes to new builds and apartments, Designtank understands how to make the most out of your property. We pride ourselves on ‘rethinking interiors’ to deliver innovative design solutions with your home and lifestyle in mind. Estelle Cameron is the founder and creative behind designtank. After a successful career managing projects in the banking and IT industries, Estelle decided to follow her passion for interior design. This career change led to further study and a Diploma of Interior Technology. Estelle established designtank in 2011 and since then has built a thriving interior design practice focusing on the individual needs of her clients. Estelle takes on each project as if it’s for her own home, providing an attention to detail that larger companies simply can’t offer. Estelle has the skills and life experience to not only deliver creative design solutions, but also the business experience to manage projects large and small. Bella Vie Interiors is an award-winning Interior Design business based in Brisbane. We help busy families and individuals achieve their ideal version of luxury living, blending it seamlessly with practicality to suit their lifestyle perfectly. Whether you know precisely what you want or nothing at all, we excel at extracting the elements of your ideal aesthetic and stretching your vision beyond the limits of your imagination to design a home you'll love. 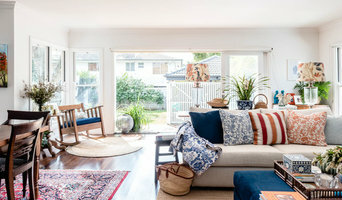 With over 10 years experience in residential and commercial design, property styling and interior styling, Lisa Alward is the founder and Senior Designer of Bella Vie Interiors. If you are building or renovating we’d love to hear from you to discuss creating a beautiful interior that fits your dream of luxury living. We are a Brisbane based Interior Design and Decorating firm specialising in creating classic, comfortable and individual interiors, reflecting the client’s lifestyle. We work on a wide range of projects, from one room to whole house renovations and new builds. After training in Sydney, Sally spent the first 10 years of her career in the fashion industry, working for various companies in Australia and overseas. 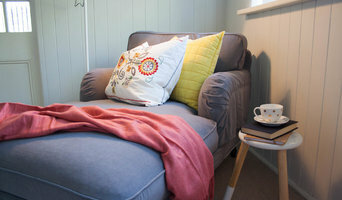 A love of interiors and design, in general, led Sally to further study and in 1997 she established an interior design and decorating business, based in Mosman, NSW. "However, my husband is in the construction business and in 2000 we moved to Queensland to work on a major project. We have since called Brisbane home and this is where we have raised our four children". Originally from the country, in northern NSW, Sally’s childhood and the fact that she now lives and works in a semi-rural area have a great influence on her work. "I love natural materials and combining the old and the new to create timeless, comfortable homes and workplaces. I believe that interior spaces should reflect their location and that an indoor/outdoor flow is essential for a successful outcome." Our services range from a one-off initial consultation to discuss ideas, through to one room makeovers, whole house renovations, and new builds. Past projects have been predominantly residential, but have also included schools, medical and dental practices, cafes and even a country pub! At an initial consultation, we typically spend 1.5-2 hours meeting with the client, discussing their requirements, taking notes and photos. A written scope of the project is then submitted, together with a cost estimate for our services. "Through my work, I have established many lasting friendships with clients, and a large proportion of business is through word of mouth referrals and repeat business. I love to create beautiful spaces which reflect the interests and lifestyles of my clients and am always guided by the spaces and the people who will occupy them." Award winning Australian Interior Design & Interior Decorator duo Judy Elliott and Jess Bandiera specialise in residential interiors. They are the founders of the VH Design Series - Styling your Home and also have an online store including soft furnishings, furniture, artwork and accessories. 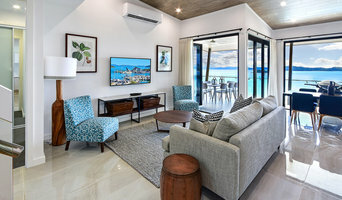 On occasion, interior designers in Toowong, Queensland will need to subcontract help from other Toowong, Queensland professionals to help create the perfect look for your home renovation. These may be specialist installers or interior decorators like kitchen designers, architects or landscape contractors. Start by asking yourself what you want your space to become and how it will be used. List your must-haves and decide on your budget. Interior design services can add up fast, so be upfront with potential interior designers from the beginning. Also, pick a designer in Toowong, Queensland that fits your style. Browse through their interior design portfolio on Houzz and ask yourself if you’d live in any of those houses. If the rooms inspire you, take note of what elements you appreciate. 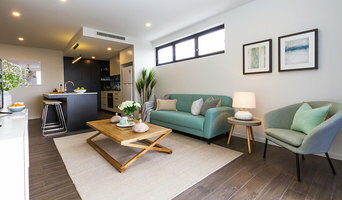 Find residential Toowong, Queensland interior designers on Houzz. Scroll through this page to find interior designers in your area. Then, browse their design portfolios to see how their work compares to the scope of your project. You can read reviews to see how other homeowners rate their work, and message them directly to to ask any specific questions.